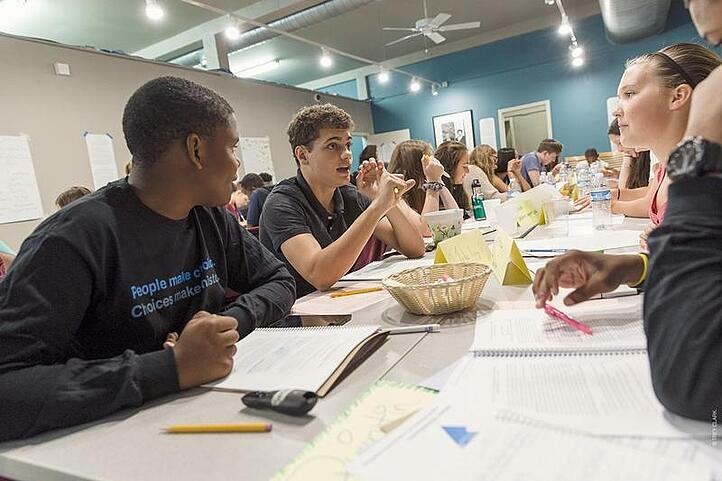 In the wake of the divisive United States election, educators are in a unique position to help students develop their skills as civic actors, thinkers, upstanders, and problem-solvers. This work isn’t easy in the best of times, but it’s particularly challenging during times of deep division and intolerance. The following resources—from Facing History and our partners at StoryCorps—are designed to help your students gain critical thinking skills, empathy and tolerance, and a sense of civic responsibility. Set the stage. Before you begin the classroom activities below, download "Fostering Civil Discourse: A Guide for Classroom Conversations" and review the suggestions for creating a classroom contract, providing opportunities for student reflection, and facilitating discussion about sensitive topics. Consider the impact of identity. Use activities in this lesson to help students determine how their identity contributes to the way they respond to other people (and how other people respond to them). This will be useful preparation before discussing difficult topics. How are the people in the story different from each other? How are they similar? What challenges did each person overcome? What was at stake in the story? What was gained and what was lost? What choices did each person face? What do you think were the different factors weighing on their minds? What do you think of the choices each of them made? To finish the discussion introduce the concept of the Universe of Obligation. Ask students to individually create one for each of the people in the story and think about how it has shifted through their experience. To finish this exploration, ask students to create their own Universe of Obligation. Then as a class, create one for the United States. Does everyone in the class—or in the country—agree on what the country’s Universe of Obligation is or should be? Strengthen community at home. Encourage your students to participate in StoryCorps’ Great Thanksgiving Listen, by downloading the StoryCorps app and interviewing an elder or loved one about their story. StoryCorps has created a Teacher Toolkit and multimedia resources page to support classroom participation. Help students build context for understanding the 2016 election by asking their elders about their memories and experiences in past elections. Use the “Elections and Civic Engagement” Great Questions list, available on page 18 of the Teacher Toolkit or in the questions section of the StoryCorps app. For more helpful tips, read StoryCorps’ Facing Today blog, "The Anatomy of a Great Interview." Karen Barss is the Director of Program Strategy and Special Projects for Facing History and Ourselves.